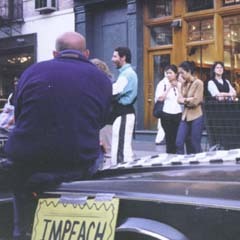 In Washington D.C., politicians have to be on constant vigalance against drive-by impeachments. --Mr. ? And so ended the reign of the Lincoln Towncar, the best president this country ever had. --Mr. ?